Most of us who have been teaching for some time need periodic reminders of the important work we’re doing in the classroom. It’s easy to become insensitive in our relations with our students and let our automatic pilot take over. Since our salaries usually don’t reflect the value of what we do and the central role we play in students’ lives, it’s easy to stagnate. 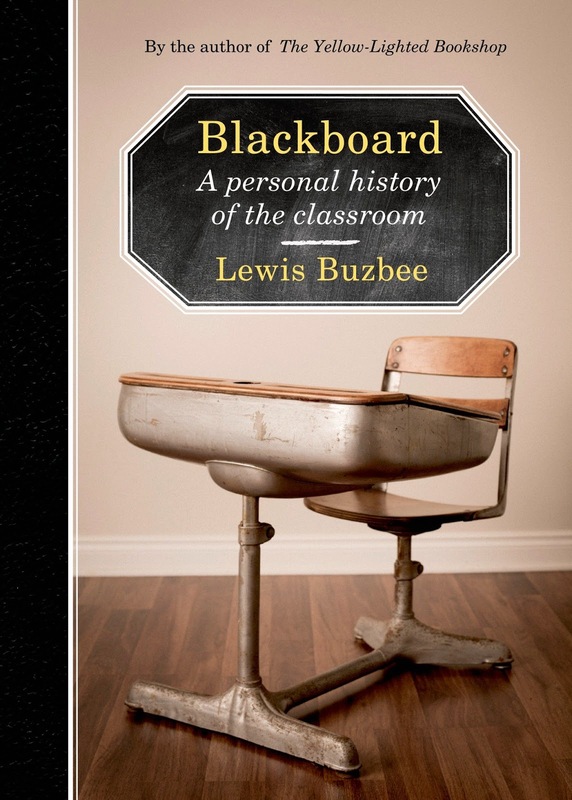 Being one of those teachers, it was uplifting for me to read Blackboard: A Personal History of the Classroom by Lewis Buzbee. A moving and thoughtful meditation on learning, the book underscores our value as teachers and the lasting impact we have on our students. In Blackboard, Buzbee, a native Californian who currently teaches in the University of San Francisco MFA Program, revisits in memory and in actuality his history as a student. He starts with a trip to Bagby Elementary, prompted by his daughter Maddy who wanted to see her dad’s old school. For the rest of the book, Buzbee moves back and forth between past and present, filtering his earlier educational experiences through Maddy’s current ones. This approach allows him to contrast the public schools of California’s golden years, when the state still “had a commitment to public education or all California students,” with the contemporary classroom. When Buzbee was in school, he didn’t live with “metal detectors, barred windows, locked gates, and sometimes armed guards” as his daughter’s generation does. Instead of students entering a safe space where they can experiment and explore, today’s youth study in “a locked down school [that] announce[s]…it is a dangerous place.” It isn’t just nostalgia operating here. Buzbee highlights our fear of violence reflected in the schools themselves because of our world’s complexities. At the center of classroom learning and this book, “The blackboard is not an object that is merely stared at; the student sees beyond what’s written there, to the larger world.” So too does Blackboard take the reader beyond the classroom and its dynamics to see how these things contribute to the larger world. Blackboard gives us a better appreciation of the integration of learning with social and political life that is essential at all ages. Buzbee writes: “The blackboard is not merely a convenient teaching tool; it becomes a focus for the student’s mind, both individually and for the larger class.” It’s a lens through which we discover ourselves. What happens in the classroom motivates us to explore beyond it, the teacher offering the impetus for those ventures. Students are like instruments in an orchestra, making music in response to the teacher, who “commands her audience, conducts them.” For Buzbee, it meant asking his parents for a “telescope and a microscope and a chemistry set.” These items not only opened him to mysteries he hadn’t considered before, but also inspired his parents to join him in investigating the heavens with his new telescope. A Canadian by birth, Lily Iona MacKenzie teaches writing part-time at the University of San Francisco. Her poetry collection All This was published in October 2011; Fling, a novel, will be published in 2015. Her work has been published in numerous Canadian and American venues, including Malahat Review, Tampa Review, Travelers’ Tales, Pedestal Magazine, Prairie Fire, Other Voices, Santa Clara Review, Pif Magazine, and many others.